The new Randolph’s Leap album, Worryingly Okay, released on May 25th 2018 on compact disc. All the kids are going crazy for it. They call it a “CD”. This CD features ten brand new songs, and comes with an illustrated poster-map of Scotland inside. Designed by Peggy-May Chapple, the map details all the locations of inspiration for the album - with the lyrics to each track on the other side. Front cover illustration by David Galletly. Although often aided and abetted live and on record by a seven-piece band, Randolph’s Leap is primarily the work of Nairn born-and-raised singer, songwriter and home-recording boffin extraordinaire Adam Ross. 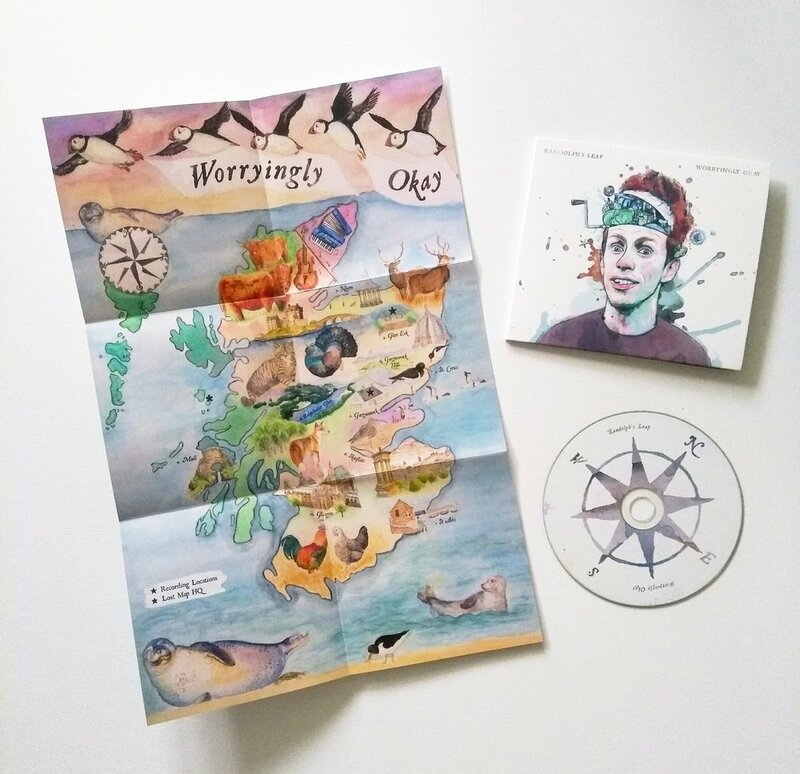 Written and performed almost entirely by Adam solo, Worryingly Okay represents Randolph’s Leap’s third full-length album proper to date, following his 2014 debut Clumsy Knot, released on Lost Map Records, and 2016’s Cowardly Deeds, released on Olive Grove Records. The group's extensive oeuvre elsewhere spans several mini albums, compilations and EPs, many a cult favourite among them.